Sorry Liverpool fans… A mind-boggling future deal for Borussia Dortmund’s Pierre-Emerick Aubameyang doesn’t look on the cards any time soon! The striker was asked about possibly reuniting with Jurgen Klopp at some point, and while he shrugged it off – there at least seems more chance he’ll move to Merseyside than to Bayern Munich. “I don’t think that’ll happen,” the Gabonese striker said when asked about a Liverpool switch, reported in the Daily Star. “Nobody can foresee the future. “I love it at Dortmund, but I can’t say that I’ll stay for two more years, or five or 10. 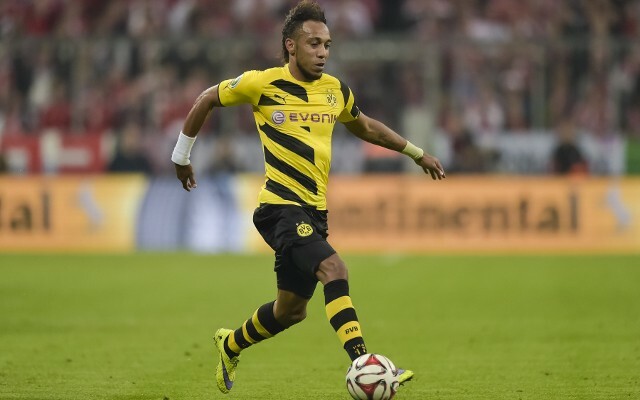 “It’s possible that a club could reach an agreement with Dortmund in June and I’ll go. “I want to be honest: When you are ambitious and also want to see something else… it’s difficult to talk about. The African forward has 16 goals in 15 Bundesliga games this term, following up from his haul of 39 in all competitions last season – which makes him one of the world’s very best strikers. Real Madrid are interested in his services, as are AC Milan (his former club), meaning a fee for his services would possibly surpass the world record £89m Manchester United paid for Paul Pogba this summer. Liverpool will likely buy another attacker in the summer, but we’re sure the name will be a surprise and somebody much, much cheaper than Aubameyang. Still, it’s nice to dream!